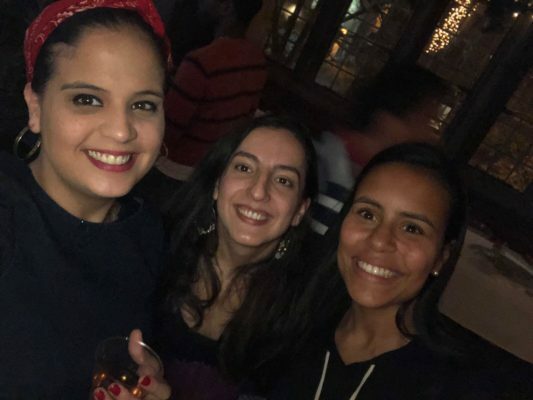 Bio: Manuela Hernandez is a Colombian-American student at Georgetown University's School of Foreign Service where she is pursuing a Master of Science in the Foreign Service with a concentration in International Development. She is originally from Medellin, Colombia and moved to Florida at the age of five. She grew up in Miami and Orlando, and went to the University of Florida in Gainesville. She studied Economics and International Studies with a focus on Europe. Manuela worked as an intern in the Florida legislature, in both the House and Senate, during college. 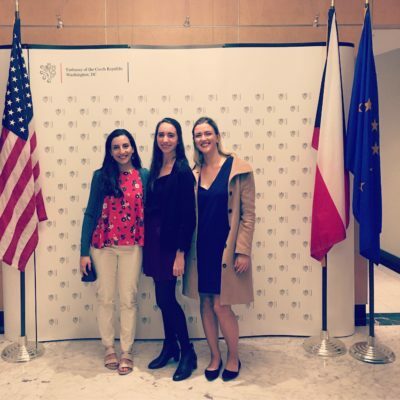 She also interned for the U.S. Consulate in Dusseldorf for a semester and worked in different sections such as public diplomacy and political. 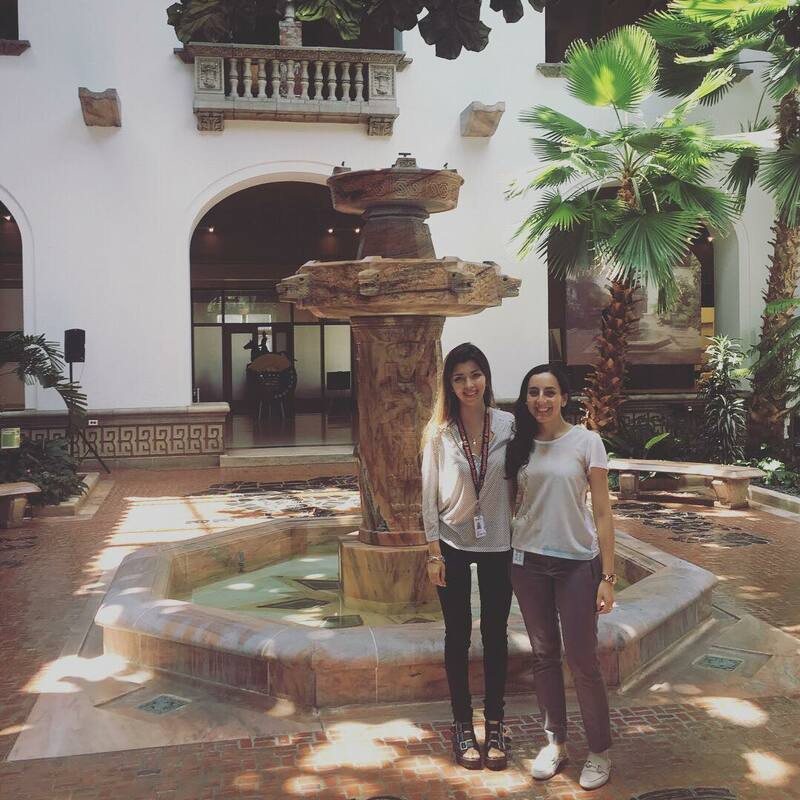 Manuela has studied abroad in Paris, Magdeburg, and Medellin. She most recently finished working for Kiron, a non-profit that helps refugees get access to higher education, and interning in the U.S. Congress this past summer for 10 weeks in the office of Congressman Alcee Hastings. 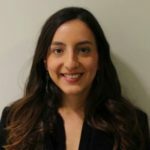 Manuela is a 2017 Charles B. Rangel International Affairs Fellow and will focus on economic issues as a U.S. Foreign Service Officer upon completion of graduate school. Manuela loves traveling; she went backpacking this past summer for three months all across the Balkan countries. She also loves cooking and doing yoga. The first ever coffee tasting event in the Great Hall was a success. 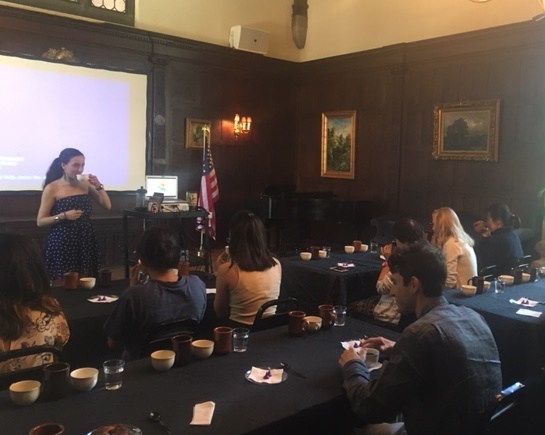 Residents learned about the history of coffee, how the coffee bean transforms into a coffee cup, and the different coffee varieties in the coffee belt region. Afterwards we all woke up by sampling four different types of coffee from: Ethiopia, Hawaii, Jamaica and Colombia. 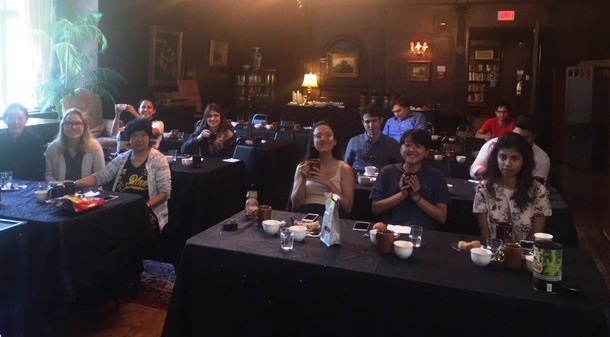 We all enjoyed pairing our coffee with yummy pastries and chocolates provided by the kitchen and we talked about our favorite coffee varieties. I learned so much when preparing for the event, and I’m so happy we had such a great turnout. I took a weekend trip to New York City in July to visit an old ISH friend from Paris. She is interning in Manhattan until the end of December, and it was great to meet up after staying in touch for months. We had great weather in Brooklyn, so we decided to check out the open-air market festival called Smorgasburg. 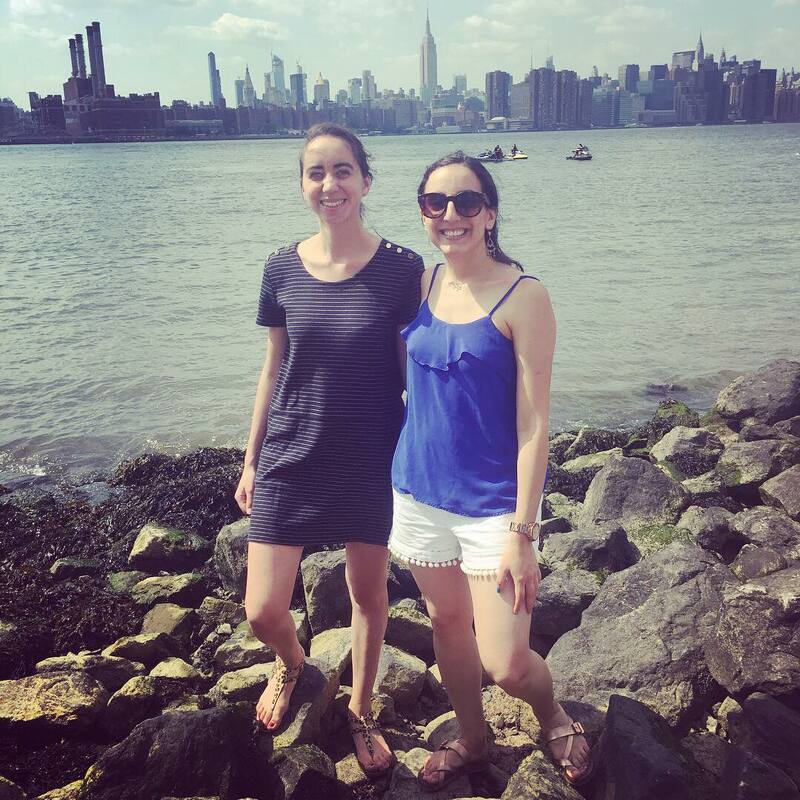 We were able to try different types of street food, listen to live music, and get some ice cream—all while enjoying a beautiful view of the city. The last week of my internship I invited one of the ISH residents to come visit the World Bank and check out our amazing cafeteria for lunch. 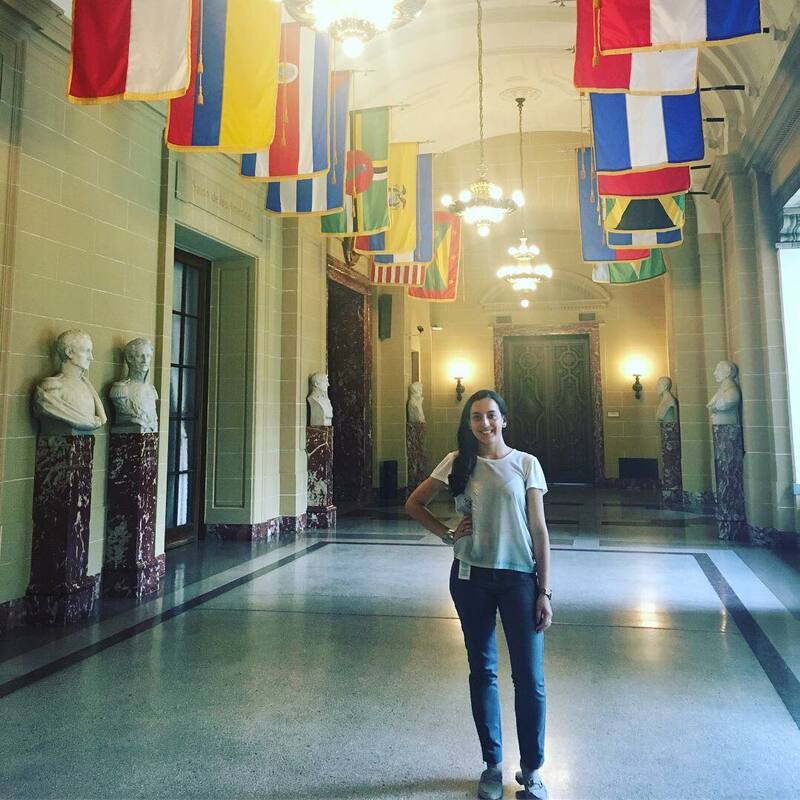 I gave her a tour of our main building, and she offered to show me around the Organization of American States (OAS) before I left. I took her up on the offer and was pleasantly surprised when I went to visit the historic building. We walked around the statue hall, the main ballroom, and had lunch in the entrance garden. 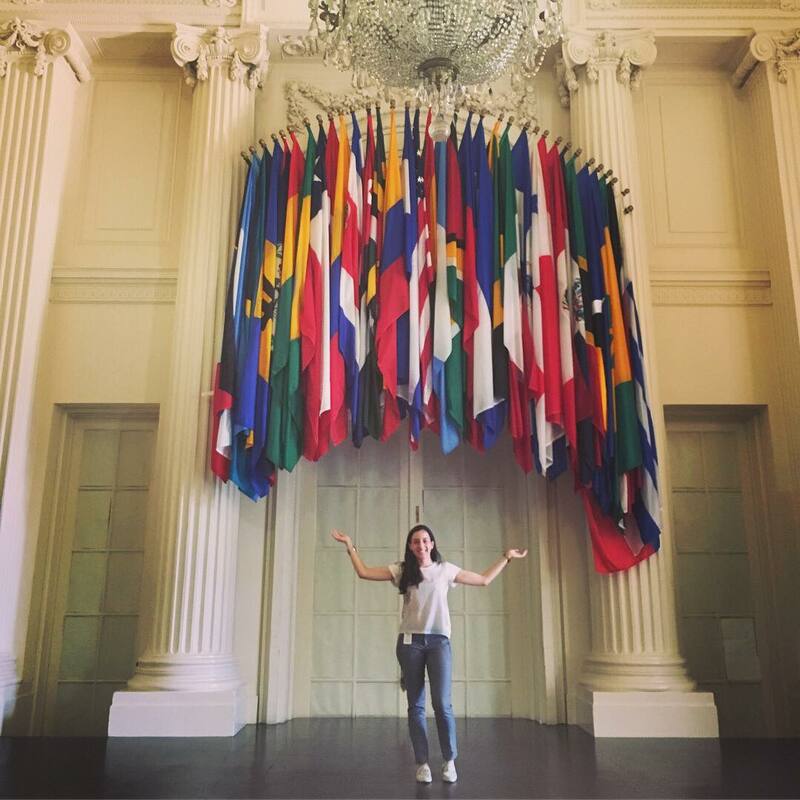 Thank you, Sofi, for being a great tour guide, I learned a lot about the OAS! The best part about ISH has been the people and the great opportunities that come along with it! The past month at the House has been full of World Cup mania! Everyone has been watching the games in the main T.V. room, and the rivalries on-screen appear off-screen as well. 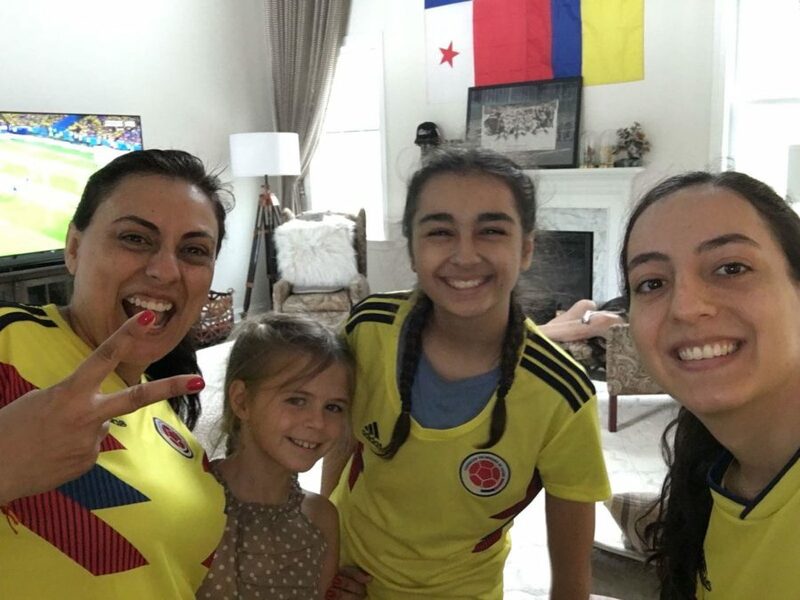 We have so many nationalities represented at the House, and it’s been super fun to see everyone argue, scream, cry and even jump during the games. And then you have the Italians that are sometimes ignoring the fact that we have a World Cup going on… I’ve been following the Colombia games very closely and the whole World Bank as well. I catch people watching the games on their computers during meetings, at the coffee shops, and in the cafeteria all the time. This past month we had some really cool events at ISH. I attended the Spanish Embassy Wine Tasting event at the House—and Juan from the Agriculture section at the Embassy led the two-day event. He started out by explaining the different wine regions in Spain, going over the process of making wine, and then teaching us the three key points for wine tasting: color, smell, and taste. We tried six different types of wine, and by the end of the lesson I think we could all pretend to know at least a little bit about wine! 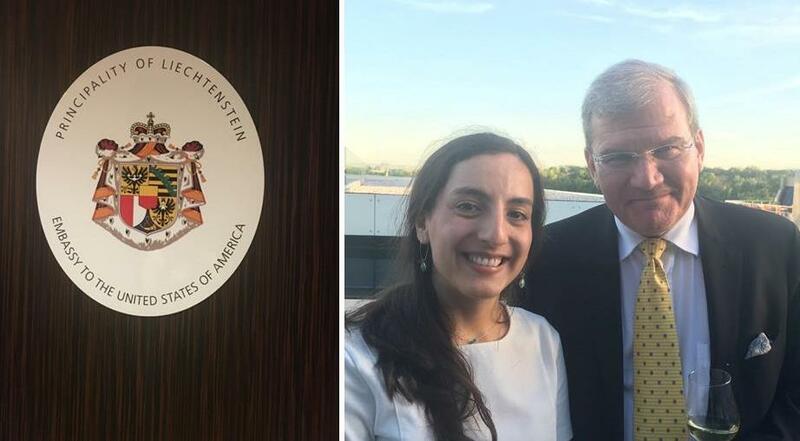 ISH residents were also invited to the Liechtenstein Ambassador’s residency. The residency is right by the Georgetown waterfront. It was really cool to meet the team and talk to Ambassador Jaeger about his experience in D.C. and to learn about the history of the country. We got to try some of their specialty wine that they only sell in the country, and I got to brush up on my German. Spring has finally arrived…or maybe not? 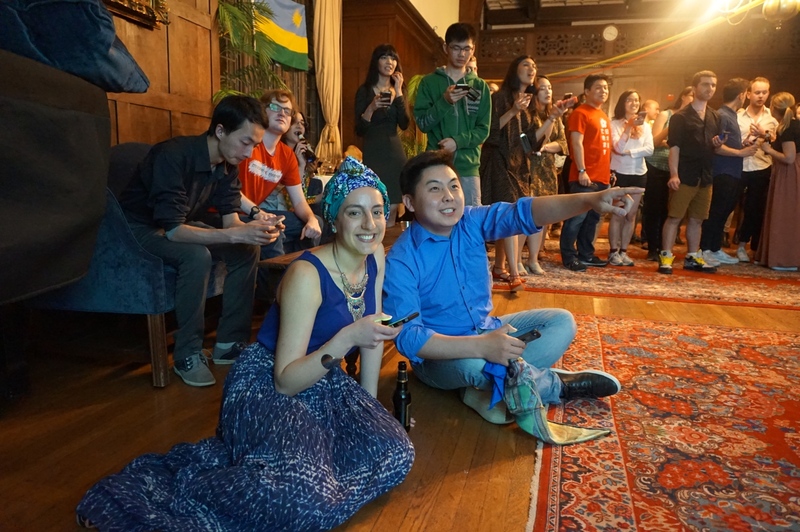 The month of April was a great time to be at the International Student House. The famous cherry blossom season usually starts around April 4th (it lasts around a week) and I went to visit the Tidal Basin in D.C. on April 9th. The National Cherry Blossom Festival started in 1912, when the Japanese Mayor Yukio Ozaki of Tokyo City donated Japanese cherry trees to the city of Washington D.C. 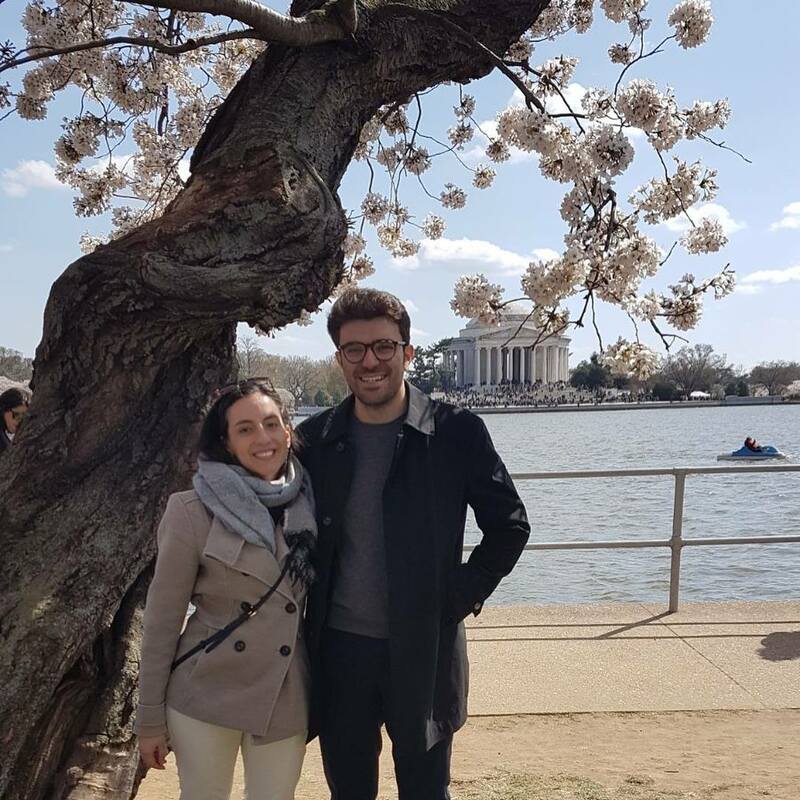 The cherry blossoms represent beauty and the fragility of life in Japanese culture, and it was such an amazing sight to experience in person! The whole walk in the Tidal Basin was filled with tourists from all over the U.S. and the world! I walked from the Washington Monument to the Jefferson Memorial and saw the beautiful blossoms along the way. There were many residents from the house that also went to see the cherry blossoms, and I ran into some of them there. This month was really hectic for my master’s program at Georgetown. We finish all of our classes by the end of April and then we have two weeks for final papers and final exams. I can’t believe that I am almost done with my second semester of my MSFS degree! I’ve spent the last two weeks applying to summer internships and going to interviews while trying to turn in my assignments and attending lectures. I received an offer to intern this summer at the World Bank and I am really looking forward to staying in D.C. for the summer and learning more about how this multilateral institution functions. 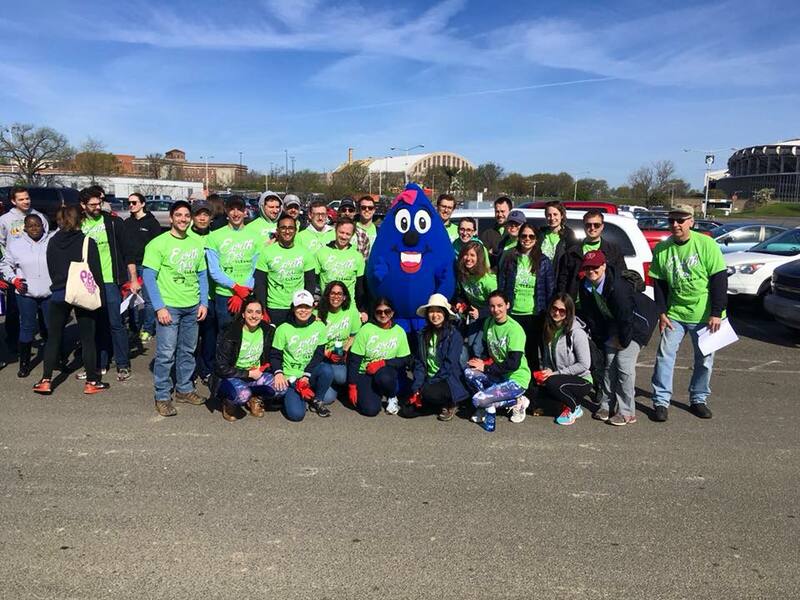 The MSFS Service Committee organized an event for Earth Day and I volunteered to help pick up trash by the Anacostia River. It was great to see such a huge turnout in the midst of final exams and papers! What better way to end the week of classes before finals than to attend the Africa Night event at ISH? 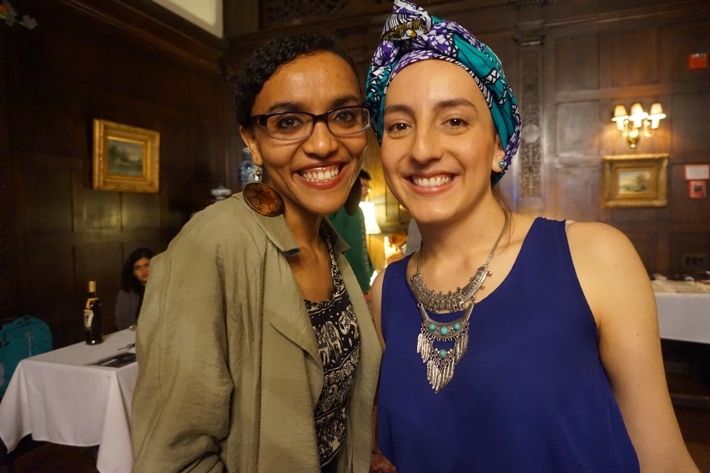 My roommate Zinna, who has some Ethiopian heritage, organized the Africa Night at the house with the other African residents. It was such an amazing event! 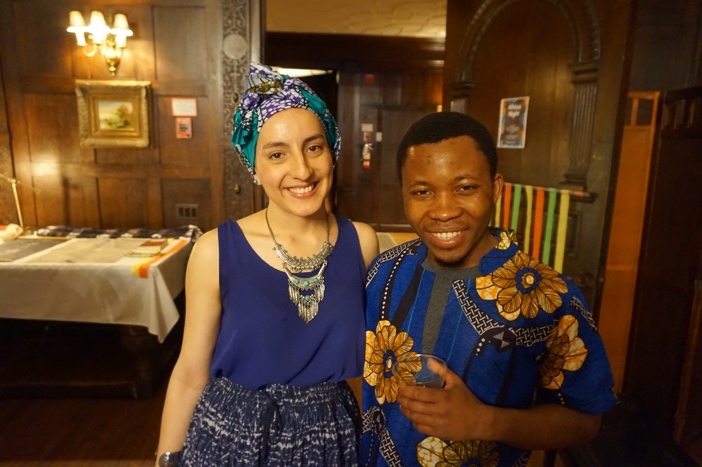 They showcased typical food, drinks, clothes, flags, music and even dances from each of their respective countries: Ethiopia, Nigeria, Rwanda, Democratic Republic of Congo, and South Sudan. While we were listening to music during the event, there was a slideshow playing in the background with interesting fun facts and pictures about African countries. I learned a lot! I had no idea that Sudan has double the number of pyramids that Egypt does. The residents really enjoyed the evening and I feel more energized to tackle my final exams. I returned from the winter holidays to the International Student House, and found new residents at the breakfast table. The House is a transitory space where old residents return and new ones come in and out. I have met so many new people in the past three weeks from: Italy, Peru, Japan, Sweden, Spain, Germany, France and even the U.S. But I also said goodbye to a good friend from Finland who stayed for over 6 months. The great news is that I now have so many more couches to sleep on when I travel around the world. I find it fascinating how much foreigners know about the domestic politics of our country, and how up to date they are about world news and American foreign policy. 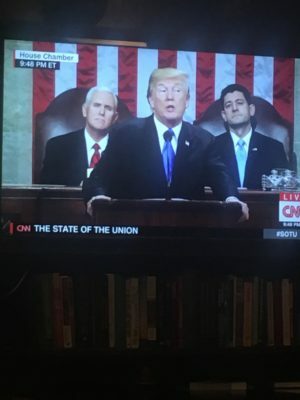 This past week I watched the State of the Union Address in the living room of ISH, and the residents’ comments surprised me. Someone from Sweden talked about the Secretary of Education, DeVos, by name and another mentioned the latest government shutdown and how Senate Majority Leader McConnell and Speaker of the House Paul Ryan had to push through the temporary bill to fund the U.S. government for a few more weeks. Someone from Italy talked about our DACA program for illegal immigrants, and someone from Spain pointed out the difficulties that the State Department has faced with the hiring freeze. I know that the United States is an important country in the world, but I was still impressed by the level of detail these international students knew about U.S. policies. 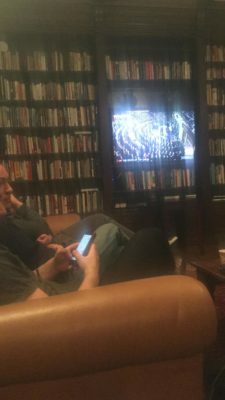 We passed around chips, chocolate chip cookies, and even pretzel sticks during the debate while listening to everyone’s reactions. I learned about new views from other countries I hadn’t even considered. It was a great experience. This month, I became a new Peer Orientation Assistant (POA) for ISH and have been paired with five new residents. 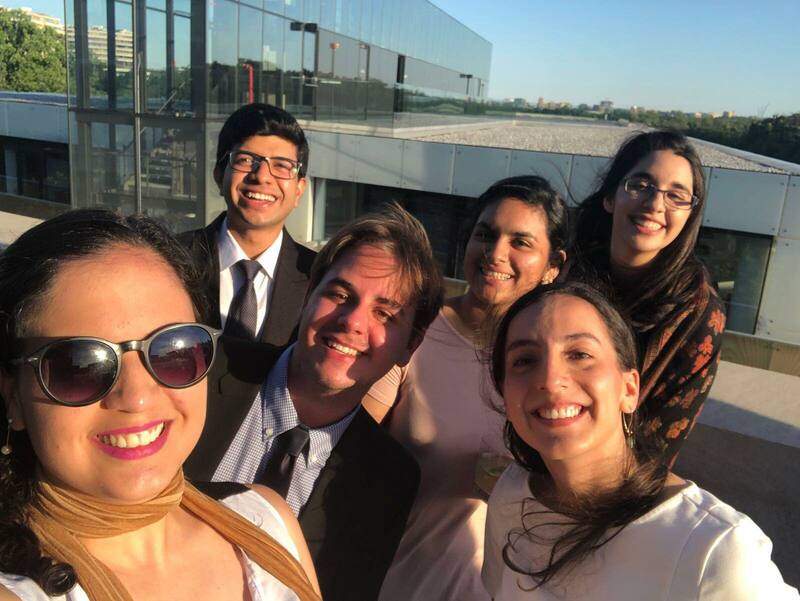 As a POA, I give tours of the house to new residents, answer any questions they might have about the House or D.C. in general, and even grab a meal with them to learn more about their background and what they are doing in D.C. It felt nice to be the house expert and point of contact for these new residents, and it reminded of how I was in the first weeks. 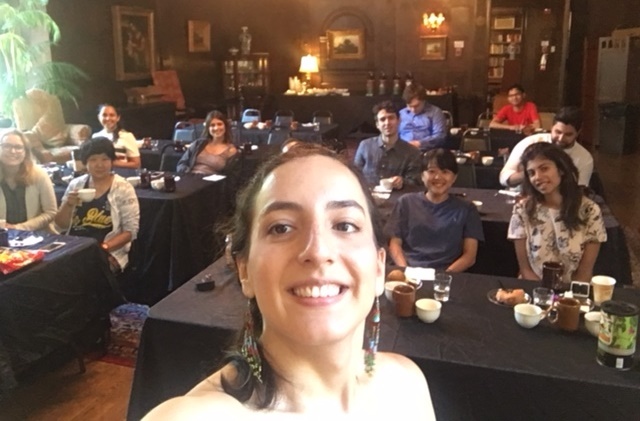 I was excited to practice some of my French and German skills with some of the new residents, and even brush up on some Spanish words from Spain (I am from Colombia). I have also continued my front desk shifts, and checked in a new resident for the first time. 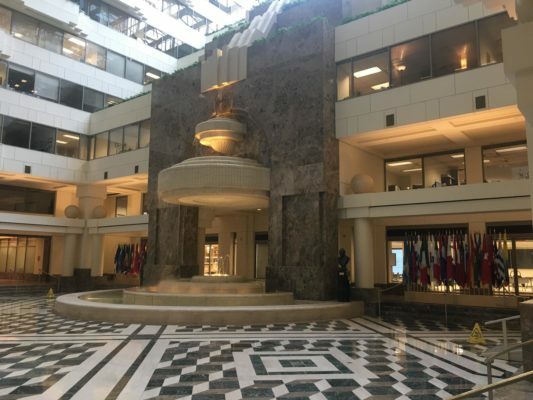 I went to the Inter-American Development Bank for the first time in January to visit a lead specialist on block-chain technology projects in Latin America. The specialist had given a talk at Georgetown University last semester, and I followed up with him afterwards to learn more about this new technology. The Bank is located in the center of D.C. and I was blown away by how beautiful the lobby is. After my visit I went home to ISH for dinner, and as I told a new resident about my experience she mentioned that she was currently interning at the Bank. We ended up talking for over twenty minutes about how the Bank operates and the cool projects they have lined up. There is never a dull moment at ISH! « Bonjour! » said my French friend Sixtine when I entered the Great Hall that had been transformed into a Parisian soirée. The walls of the Great Hall had signs of the different streets in Paris like the Champs Elysées, while the music of Stromae blasted in the background. The tables had different types of cheeses labeled for residents to try out and one of our residents, Atem, was serving both red and white wine to complement the cheese. When I walked into the room I realized people stuck to the French night dress code, with black and white stripped shirts, French beret hats, and the other colors of the French flag— blue, white and red. There were also French themed balloons covering the ceiling. The projector was showing some pictures of France, and the Christmas tree was nicely decorated next to the lighted chimney. 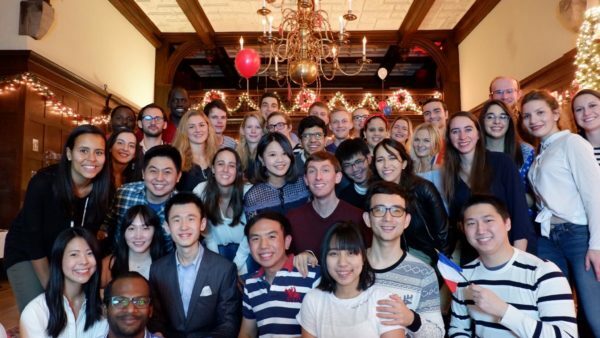 ISH French residents organized the French night as both an opportunity to showcase some of their own culture, and to bid farewell to the fall semester and the residents that had to depart in mid December. Residents danced and laughed together, and I had a great time with the friends I had made over the course of four months from living here. It was a night to remember, a « petit au revoir » to my fellow housemates with whom I had created so many memories. The first semester at ISH flew by. I remember when I first visited the house in July of 2017 while I was searching for a place to stay in D.C. The resident assistance at the front desk greeted me politely and asked if I was a new resident, but I told her I just wanted to have a tour of the place and she graciously offered to give me one. I thought the building had a Hogwarts theme, and after talking to a few people and staff I decided I wanted to live there. I moved in on August 15th, a few days before the start of my first semester of my Masters at Georgetown University. I remember feeling excited and a bit nervous to meet the residents. I quickly realized that everyone else was on the same boat, and even met people who were also in my masters program. 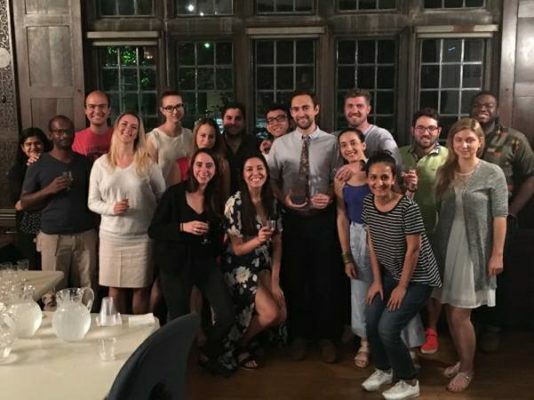 In the past four months I have bonded with residents through numerous late nights in the study room, over a cup of tea in the dining room, at events the house organizes, while watching the newest season of Game of Thrones in the living room, and going out to bars and restaurants with the many crazy Italians living here. I enjoyed all the Sunday lunches, Saturday brunches, early breakfasts and daily dinners filled with talks about international relations, traveling tips, and foreign language practice. 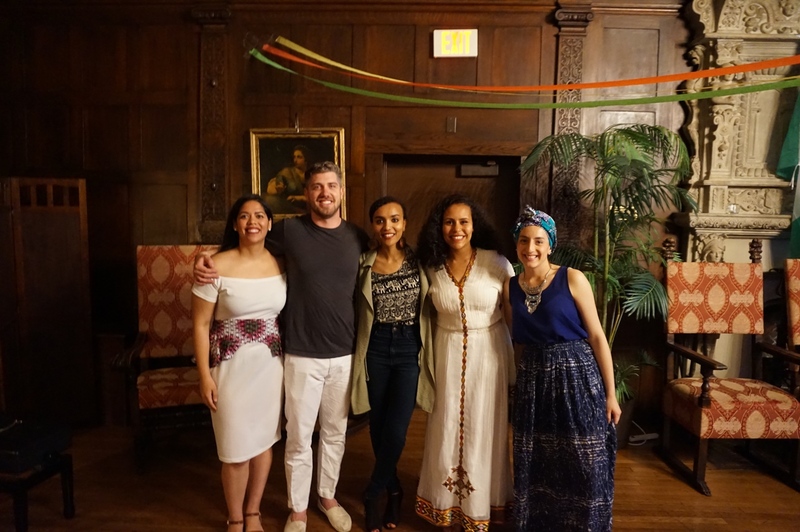 I liked the fact that residents were able to showcase their culture by organizing themed nights: Italian night, Mexican night, Brazilian night, French night and even Finnish night. I learned so much about the world without having to step foot outside the House. Because of ISH (as guests fo the Embassy Series), this past semester I got to go to the Czech Embassy for their public diplomacy initiative of “Uniting people through Music” starring the famous violinist Jaroslav Sveceny and pianist Vaclav Macha. I witnessed Joe Biden, the 47th Vice President of the United States, receive the Global Leadership Award in the ISH garden while volunteering for the event. 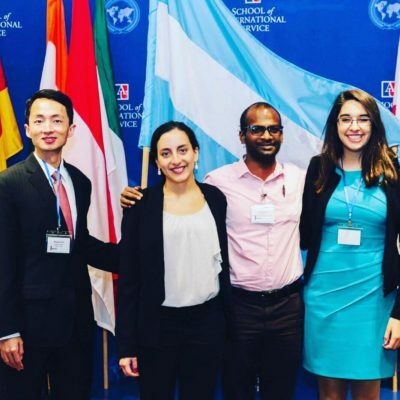 I represented the Argentine Finance Minister at the Model G20 Summit hosted at American University with the rest of the ISH Argentina team. 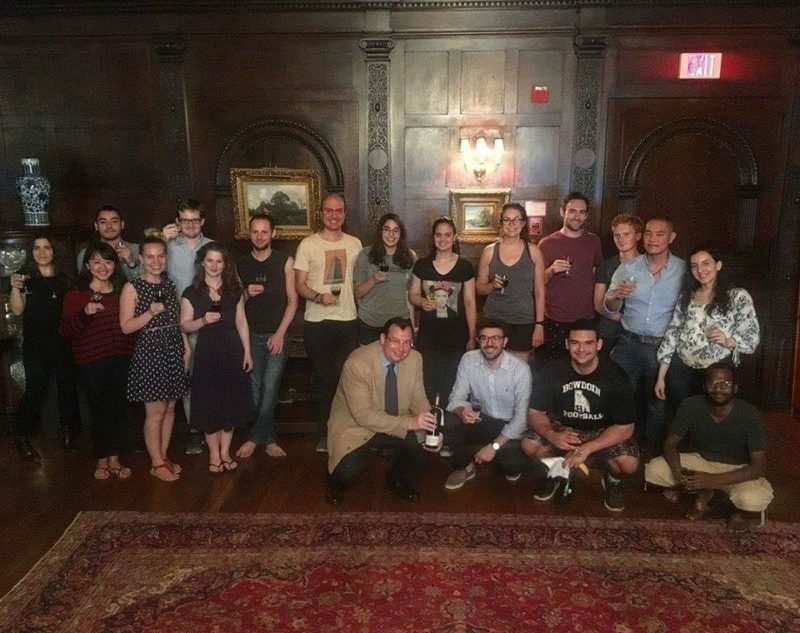 I learned about different types of whiskey because one of our residents, Alex Beck, organized a whiskey tasting event at the House. At every Sunday lunch, one of the residents stands up and asks if there are any new residents present or any residents that are leaving that week. I can’t help but feeling a bit nostalgic whenever I see some great friends depart, but I know that in the future I can go visit them wherever they might be. 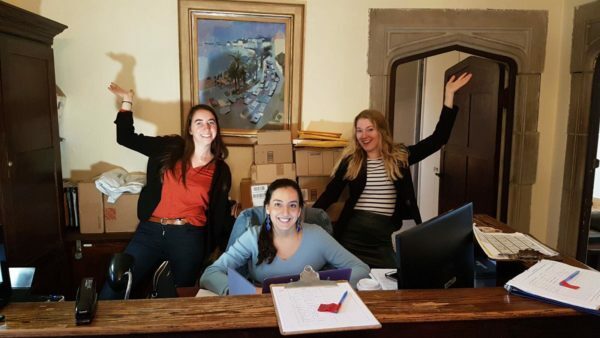 I joined the front desk resident assistant team in November, and I sense its come full circle since that sunny afternoon in July of 2017 when I walked in through the front doors of the House. 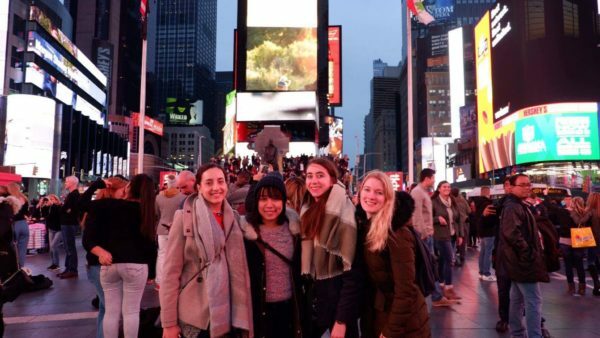 Since then, I have made so many new friendships, traveled with ISH residents to New York City, and even played Ping-Pong in the game room for study breaks. I am looking forward to the New Year and new semester at ISH. Who knows what great events and new adventures await?